Wow... where did the holidays go!? Unfortunately, I spent most of my Christmas break dealing with a nasty cold - this one really knocked me out! Hoping that most of you managed to escape the cold season and spent some great time with your families and friends. Have you made some New Year's Resolutions??? I like to think about ideas for the year and see how many I can stick to... some years I'm better than other! Here's what I came up with for 2014 - I'm going to print it out and stick it on the bulletin board in my office - I figure if I stare at it often enough, I might just remember to follow some of them! Grab a copy of the organizer below to make your own! 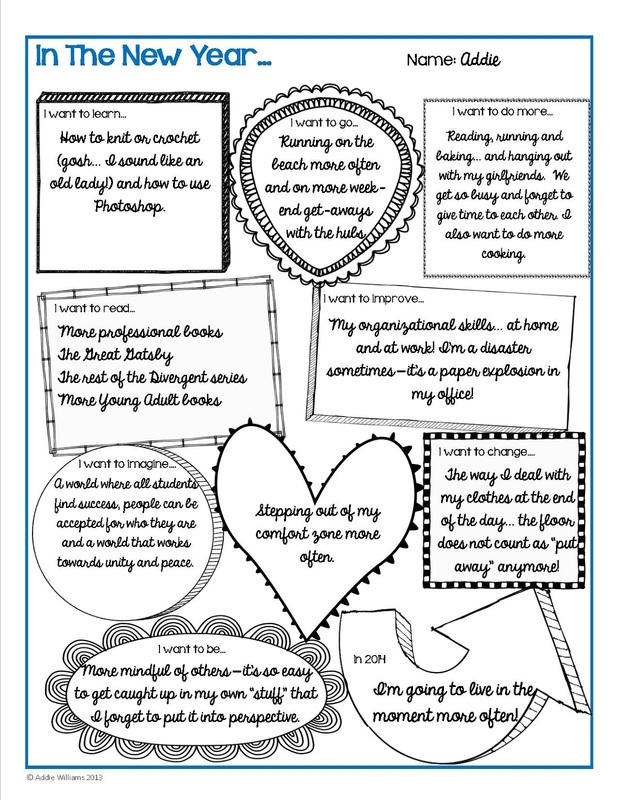 Grab a copy of the worksheet I used for my own resolutions - I think it's important to do this activity if I am going to ask my students to do it. These two worksheets are simple and so can be used in a variety of classrooms with a variety of ages and abilities! 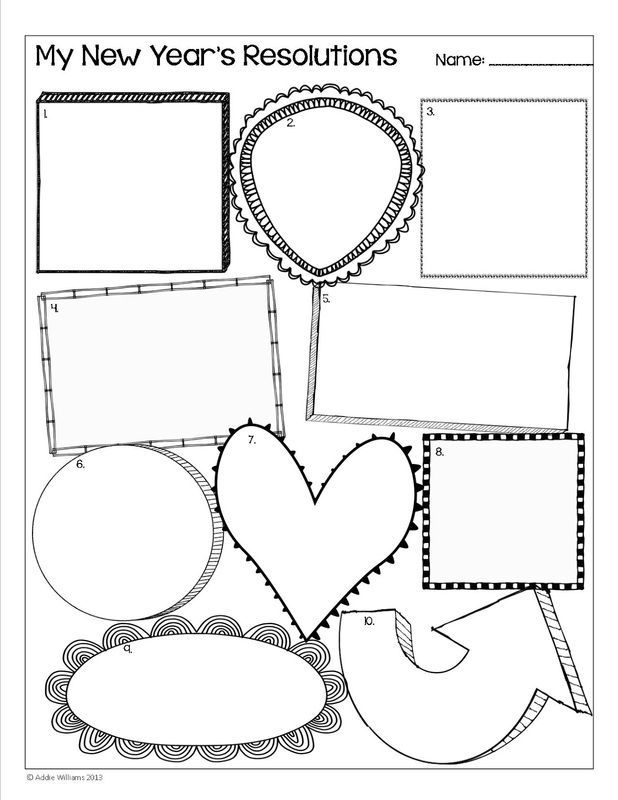 To download a FREE copy of both of these worksheets head to my TpT Store and download it FREE! Thanks! Good luck with your challenge! 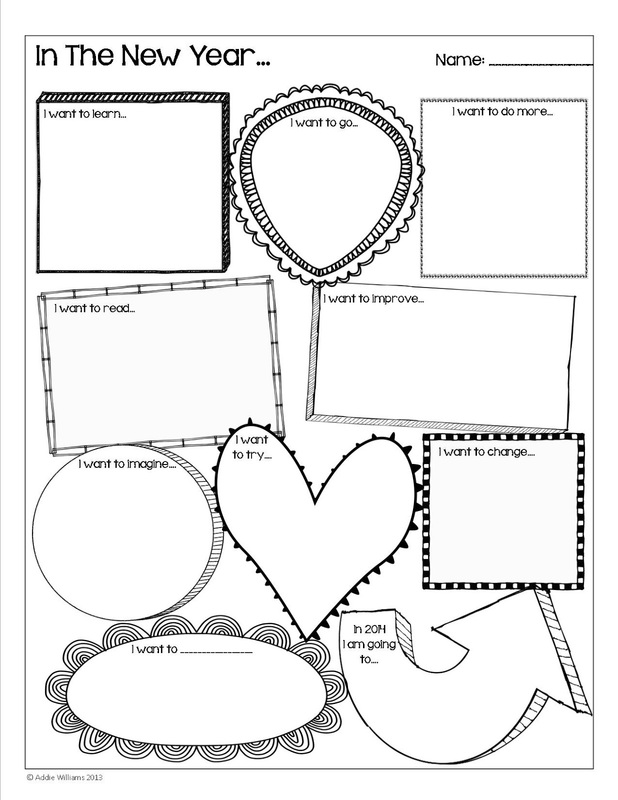 I just discovered your blog through your TPT store after finding this adorable worksheet on Pinterest (Holy social media!). I love, love, LOVE it and will be using it with my kiddos this week! I think they are going to love it, as well. I also included it in my "A Peek at My Week" blog post along with links to your TPT store and your blog! Thanks again! I downloaded it, but can't find the one that is just le the ecampus fou posted here. The download has icons and characters placed throughout the graphic organizer. I like the simplicity of the ones in the blog. . Did I download the wrong one?